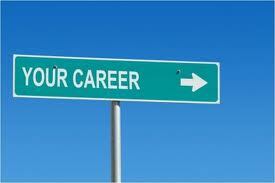 Is your career climbing or is it mired and going nowhere? Have you “landed” in a profession and come to the conclusion that you have little or no interest? Ever wonder “how” or “what” you should be doing? Our Personal and Professional Profile can identify and point you in the right direction. Discovering your Personal and Professional Life’s Balance is just the beginning. Then, helping you decide a focus that is satisfying and goal orientated is the next step. Our program includes resume preparation, search tools for the hidden job market, and an outlined approach that dedicates one to strategize productively. Additionally, our program includes a personality assessment, negotiating, and interviewing techniques that utilizes information gathered from research that includes over 5,000 businesses from around the globe. Based on this information, our program covers the latest strategies and tips to help find that dream job sooner, than later.